August 15, 2012, the day I lost Juno, my four year old Brittany. She developed a malignant tumor in her mouth and by the time it was detected there was nothing that could be done. I had her euthanized on this day, two years ago. I was with her till the end, doing my best to ensure the experience was as easy on her as possible. While I try not to dwell on the past, I make a point of remembering her as she lived and the time we had together. She was a dear little dog, very lady-like in temperament, but also a keen little huntress in the field. She was the third Brittany I owned and like the two who came before her, Christie and Maggie, remain in my fondest memories. Hera, the Brittany I own in the present, named Hera in tribute to Juno (Hera is the Greek form of Juno) turns two years old this coming October. She will join me in the field for her second season this Fall. She had a great first season, pointing ruffed grouse and woodcock for me. I look forward to taking her into the field this season. While I harbour a touch of sorrow over the untimely loss of Juno, life goes on. 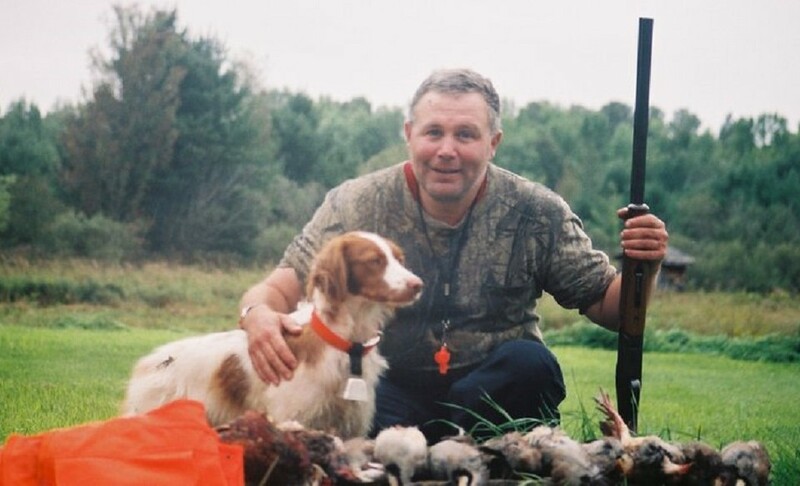 In taking to the field with Hera, I honour the memory of Juno, Christie and Maggie, in carrying on the tradition of keeping a working hunting dog. 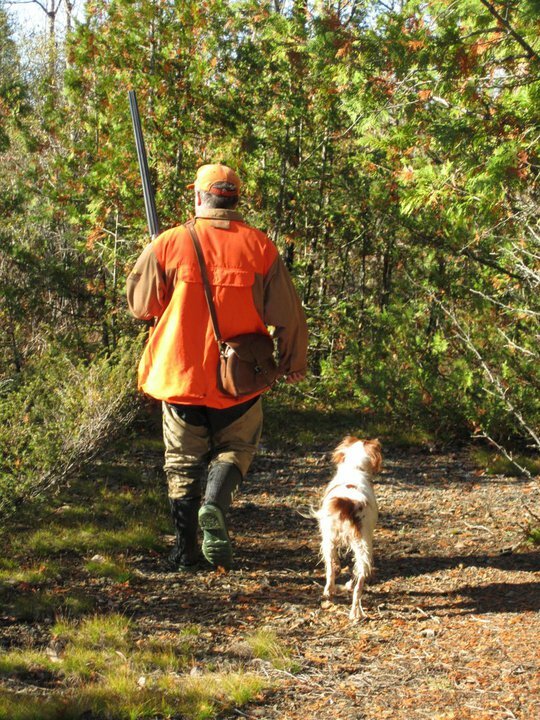 This entry was posted in Brittany (dog), Dog training, Gun dogs, Hunting dogs, Pointing dogs, Ruffed grouse hunting, Upland bird hunting, Woodcock hunting and tagged Brittany (dog), grouse, Gun dog, Hunting dog, Juno, Ruffed grouse, woodcock hunting on August 15, 2014 by geoffreyandmika.